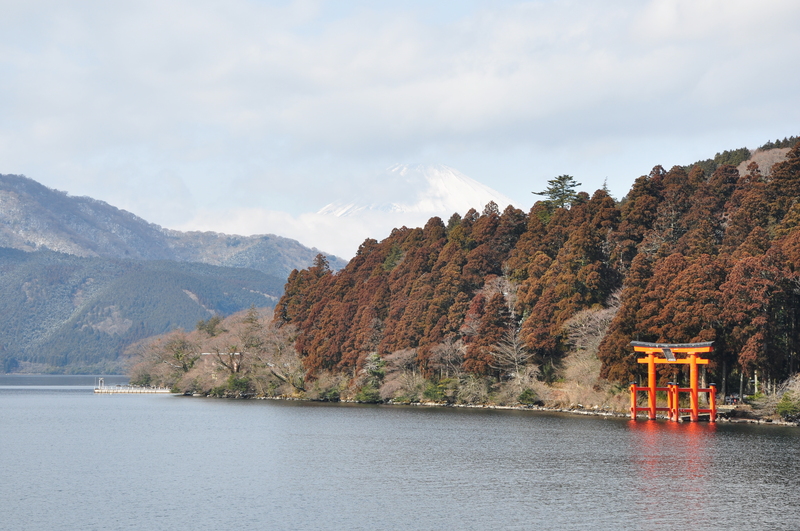 It is very hard to pick the highlight of our trip to Japan but seeing Mt. Fuji has to be on the top 3 for sure. Fuji-san for the locals 🙂 I find it so sweet that they refer to it as a person and respect it as they would respect the elderly. Our journey started in Hakone where you get off the JR and step into a different area where 7 means of transportation run in harmony to allow you to see the best sights. Hakone itself is where most tourists stay but we didn’t see much of it because we were going to stay at Gora which is already half way up the mountain by cable car. Gora is a tiny town with a couple of parks and museums to see. We didn’t visit any to be honest – we were on a mission! 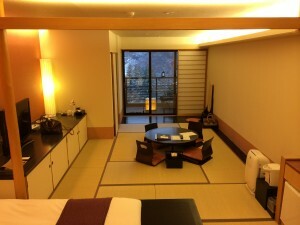 We stayed in a very commercial ryokan called Hakone Setsugetsuka. I don’t mean in a bad way but it was certainly an interesting experience to be in a very traditional japanese room that is actually quite new and surrounded by other 200 rooms. The hotel was actually quite impressive with beautifully designed rooms with their own onsen on the balcony with views of the mountains. The highlight of the hotel are the hot springs with different medicinal and entertainment purposes. This was the only hotel we went to with private onsens. They were set outdoors in little huts that you can just go in and lock the door. 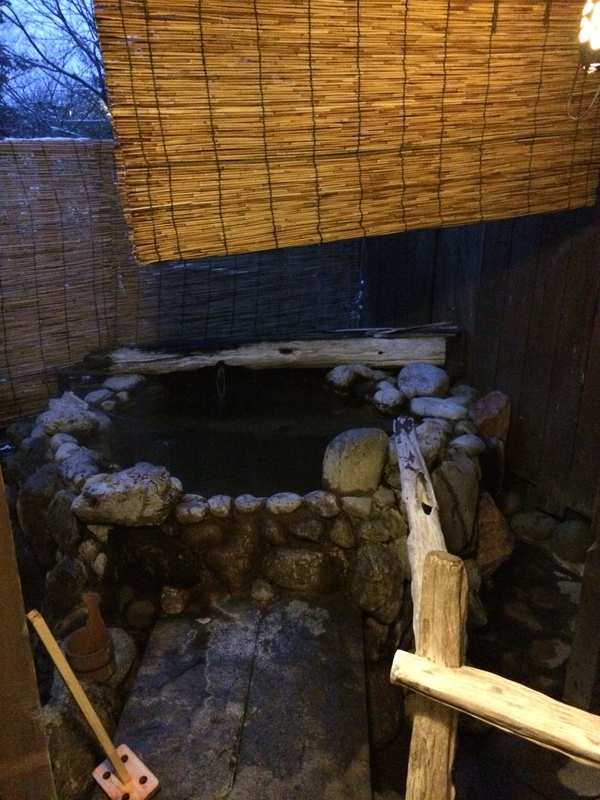 Really really nice to have company – that are not random old people – in the hot spring for once. 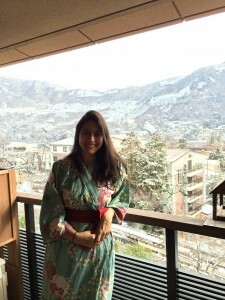 One thing about this hotel and any other ryokan is that they provide your with a yukata to wear in the premises. So cute, they are to die for. Makes you really feel part of the surroundings. Not so much for Abraham because he could barely fit into the wooden clogs. Anyway, enough of rambling about secondary things. The day after we woke up and took another piece of the cable car that led us to the ropeway. Inside the little pods, were leisurely looking at the mountains and being impressed by the sulphur blasts and wondering if we would be able to see Mt. Fuji. That was when we heard one of our fellow passengers squeak and there he was. Magnificently huge and beautiful. All the other mountains seem like little hills next to him. I would like to be able to describe the emotion of seeing Mt. Fuji right there in front of us but I fear this is not possible and one needs to witness such a moment. I can only say this was one of the most beautiful places I have ever been. 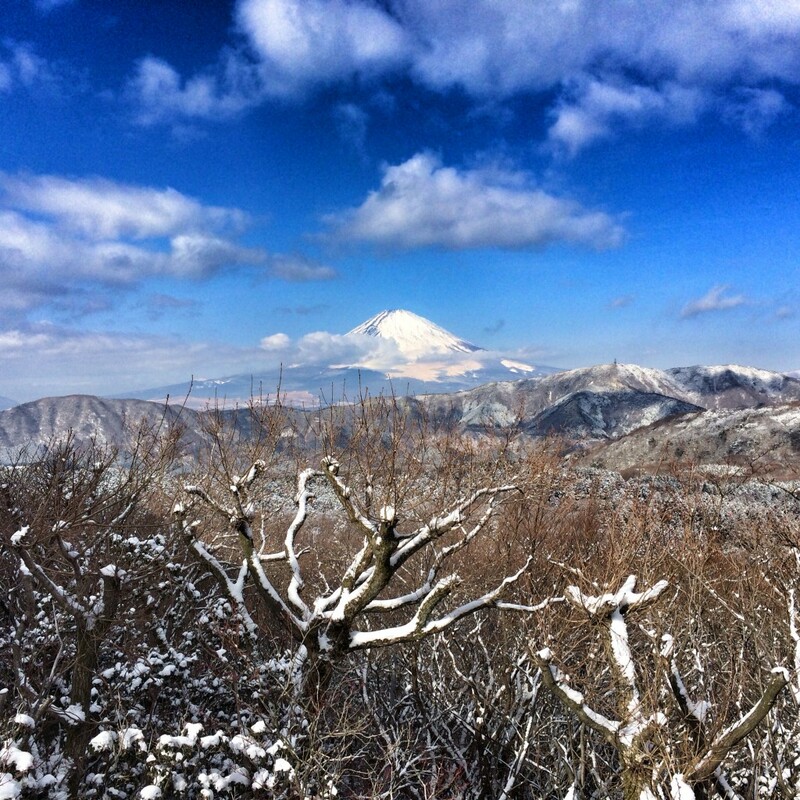 Once you reach the top of the ropeway, you can go down and enjoy the different angles of Mt. Fuji. On the way down, the final stop is by Lake Ashinoko where we took a pirate boat (go figure) to continue enjoying the amazing landscape. At the end of the boat ride we took a bus that took us back to Hakone with this last sneak peak at this wonderful volcano. Mount Fuji can not be mis sed in a trip to Japan. It’s beautiful!